for the last year, i have been pretty much housebound. some days i couldn’t get past the end of the driveway. but a gal can’t live like this forever. so having been freed up this past week, i’ve decided to take a road trip and who better to go with me than. 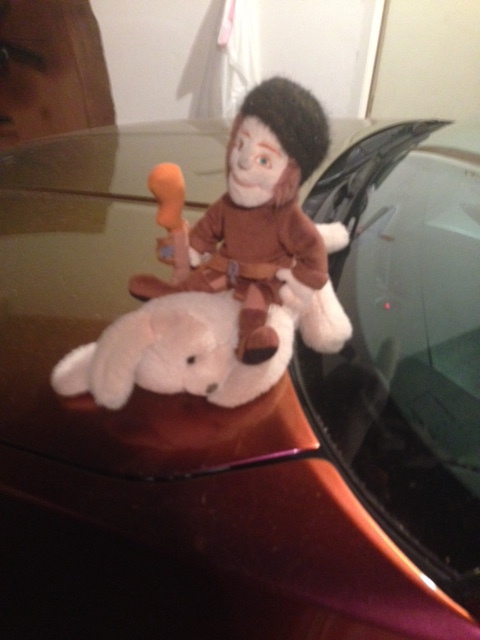 . .
my trusty guides william clark and pongo the dog are with me! i hope they can restore my courage! in april, we put on remembrance at the winnetka community house. we repeatedly sold out and now we’re going to do it again. today, we settled on a date and place for the next performances of remembrance which is a play about love, sacrifice, and how we honor the memory of those we have loved. oh, wait, those we will always love. we had a cast of 27, a crew of six and a band of three very talented musicians. and we get to do it again. if you have someone you remember, love and miss this is the play about you. but if you want to be in a play, you should contact me. i want to work with you. the actors and everyone else associated with the project were sometimes in a play for the very first time. we’re settled on december 5 and 6 in evanston. there are no cut auditions, which means you’ve already got a part. if you want to out-cateblanchette cate blanchette and be elizabeth i i’m down with that. in the last production, we had a cleopatra, a winston churchill, an abraham lincoln and a lot of other interesting characters. i have written a play. it’s called remembrance and it’s about love, sacrifice, what happens to us when we die and the universal fear of being forgotten. and how we honor and remember those we love. the play will be performed at the winnetka community house on april 23, 24, 25 and 26. i am grateful to gina sich who works there and has secured the rooms. there will be no cut auditions on february 22 from two to four at the house. meaning you have a part. you are already a superstar. there are two casts. one is a core of eight who will be asked to rehearse over the course of late march and into april. they will have to memorize lines, interact with their castmates and probably buy me candy. the remainder of the cast, and i sure hope it’s a big one, only needs to rehearse a few times and gets to choose who they are. maybe you’ve always wanted to be marie antoinette. maybe george washington. maybe socrates. maybe a simple peasant boy from france. the only person you can’t be is cleopatra and that’s because marion scully has already called dibs. i have had a rough year as you well know. but i need to do this. and i need you. you might be an actor. you might prefer to be a musician. you might be a graphics designer. you might be someone who is willing to help me sell tickets or contact local media. the only slots that have been filled are caterer for the cast party and my bodyguard. the bodyguard is totally badass. so help me out here. send this email to every friend you know. because they are your friends they are now mine and i want to meet them on february 22. tell me what you are able to help with. and think about who you are inside. we are all meant to be loved. and we are all meant to be remembered. this year has been a year of losses, most particularly the loss of my best friend which occurred last week. but counting up my losses is not as productive as counting blessings. my new friend boris certainly knows about counting blessings. in 2011, i made a new year’s resolution to spend the year visiting each and every facebook friend i had at the time. it was a fun year, a year of discovery, a year of having to push my boundaries. 325 friends? oh, yeah, and 13 countries and just about every state in the nation. being an agoraphobic who has difficulty leaving the house it was a challenge. but it was also a pleasure because i got to be with friends, some of whom i had only known online, some of whom i hadn’t seen in decades, some of whom turned out to be, well, catfish. 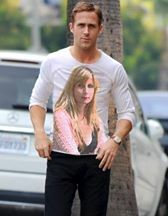 ryan, really, we both have to move on especially now that you and eva are becoming parents. think of her feelings! and the arlynn presser t-shirt isn’t going to make her feel strong and confident as she should! but truly, i understand your pain. i’ll always love you. how do you self-care? how do you think should start self-care? and can we help each other self-care together?